Australian contractors will soon have access to Volvo Penta’s full industrial engine range, including parts and aftermarket service from WA-based Volvo heavy machinery distributor CJD Equipment. 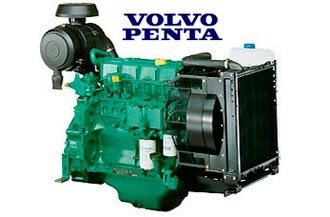 CJD Equipment will start distributing the Volvo Penta industiral engine range in Australia from November 1. Volvo Penta has recently signed a deal to make CJD Equipment the official distributor and importer of Volvo Penta’s industrial engine range in Australia. Volvo Penta conducts its operations in two main business segments: marine and industrial. The company says the partnership will allow Volvo Penta to separate its sales and service facilities for marine and industrial engines – and ultimately provide a greater focus on the industrial segment in Australia. Volvo Penta Key Account Business Manager Australia Garry Fordham says CJD Equipment’s experience with Volvo CE products, which coincides well with Volvo Penta’s industrial engine line, led the company to its decision. "CJD’s experience with Volvo CE will allow it to come up to speed quickly with our products," he says. "Its long history in the construction equipment industry in Australia means it will be a strong partner for us and will be in a great position to offer industrial customers all the services of an engine supplier as well as a service network that can support remote locations around the clock." Volvo Penta adds the appointment is also part of the company’s worldwide expansion plan. "Utilising the CJD network will be key to success in the aftermarket in Australia," says Romulus Grosu, Volvo Penta Asia Pacific’s director of aftermarket sales and customer support. "We expect this cooperation to grow our position as a key player in the industrial engine industry when it comes to sales and service." As of November 1, Volvo Penta will have representation at each of CJD Equipment’s 17 company branches nationwide, which includes urban locations such as Sydney and Perth (headquarters); as well as rural areas such as Kalgoorlie and Albury. CJD has set up CJD Engines, a sub-company with staff and resources solely dedicated to selling and servicing Volvo Penta Industrial Engines. 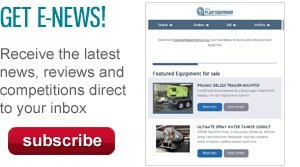 Visit CJD Equipment’s website for more information.